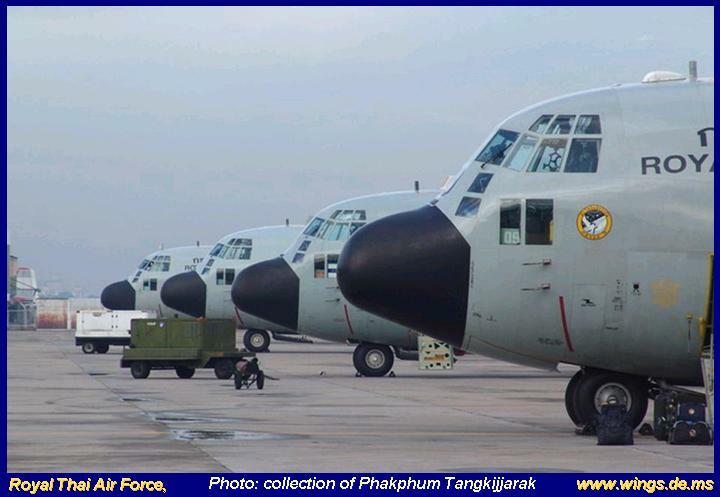 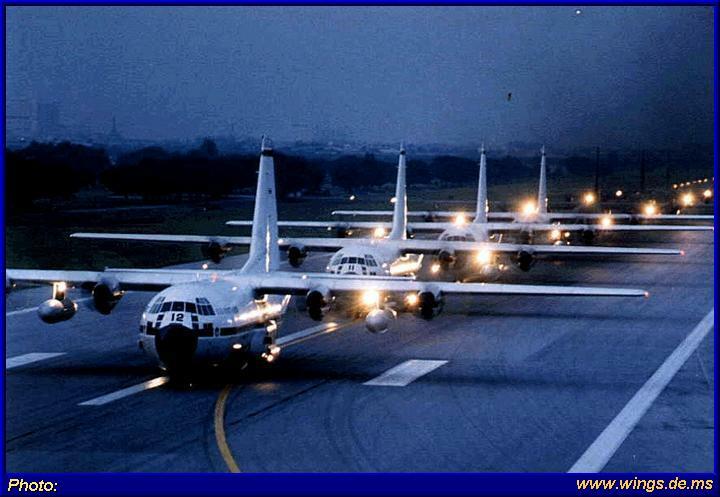 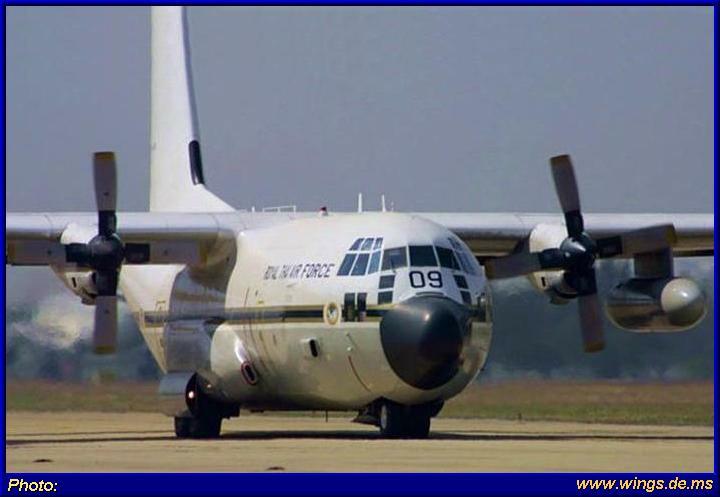 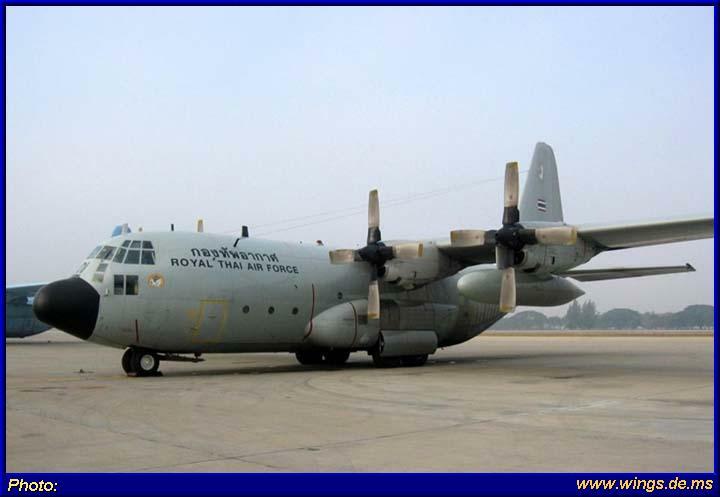 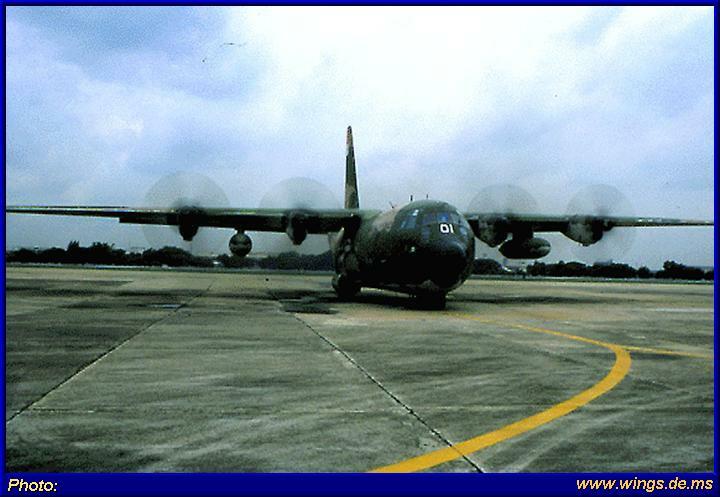 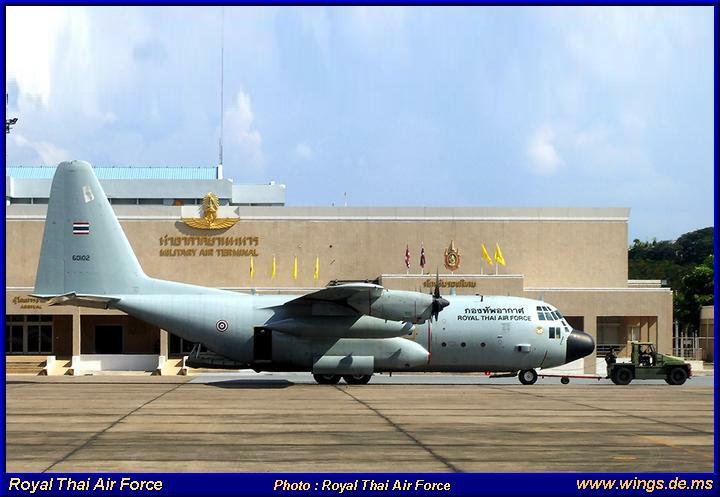 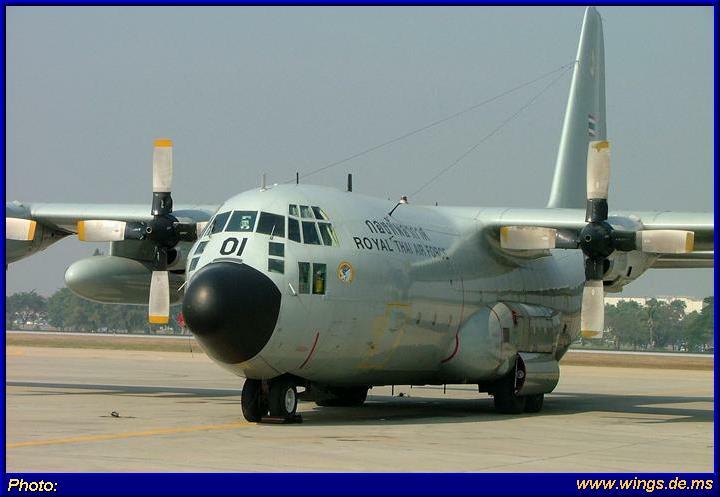 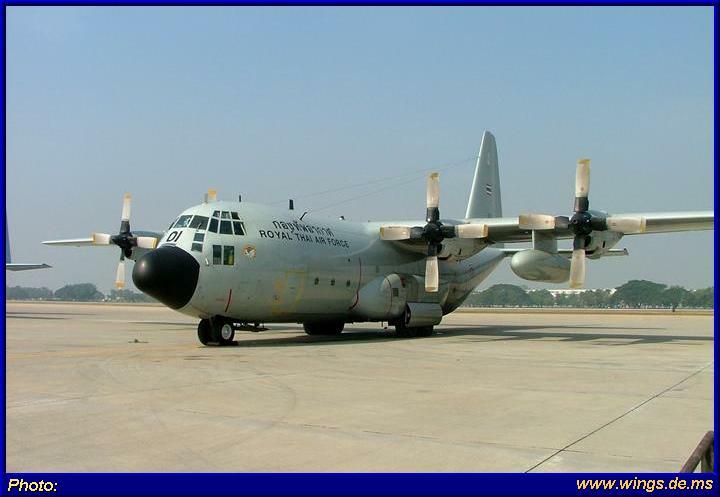 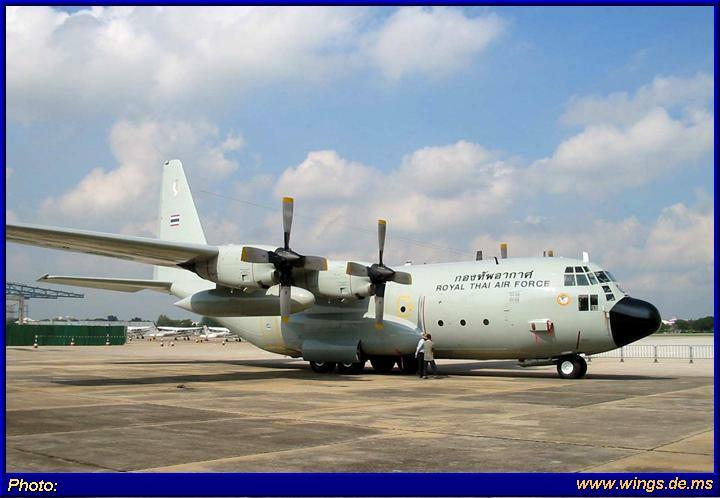 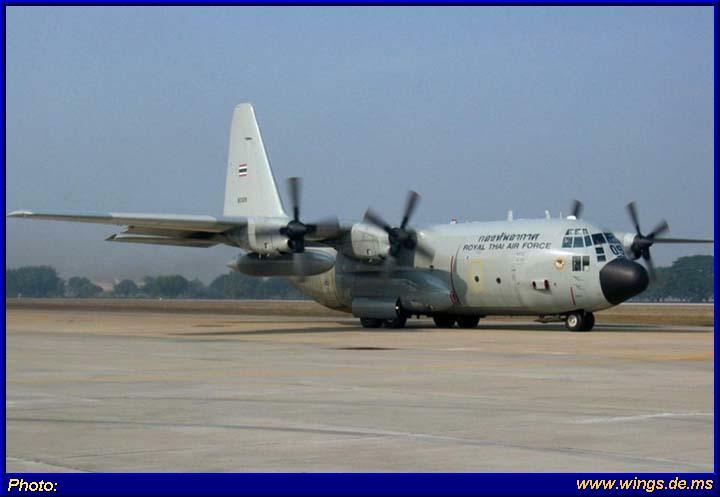 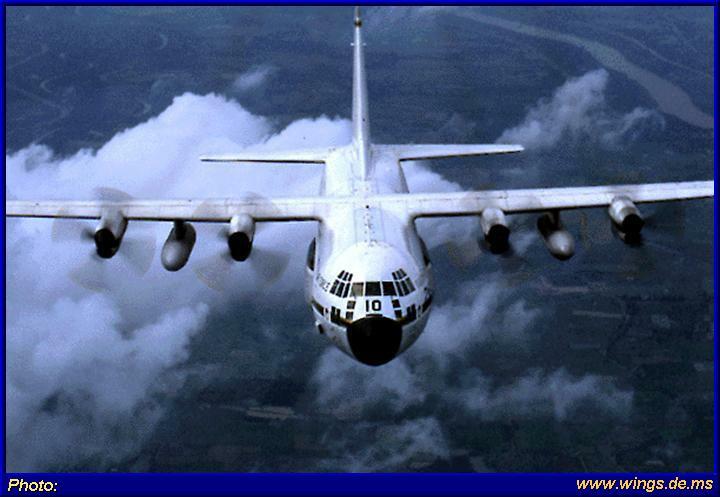 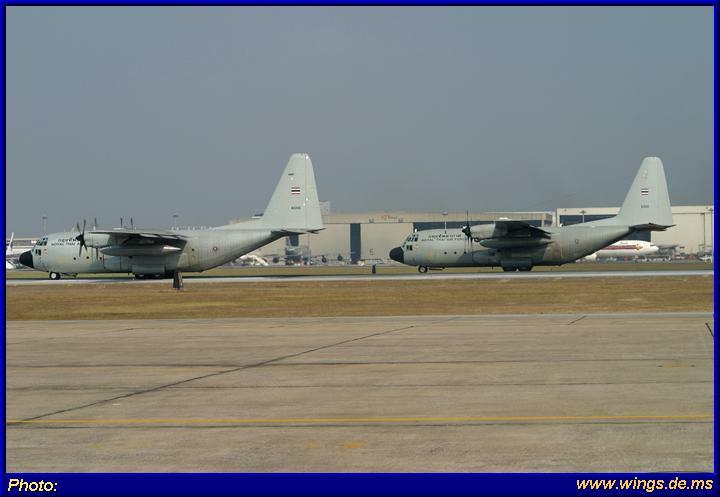 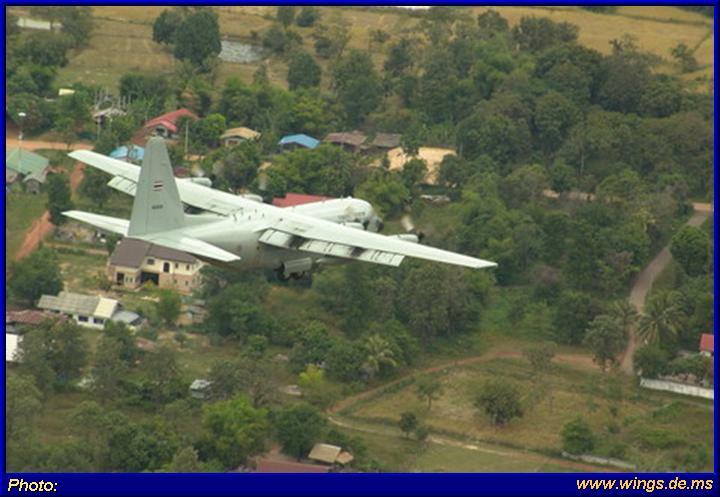 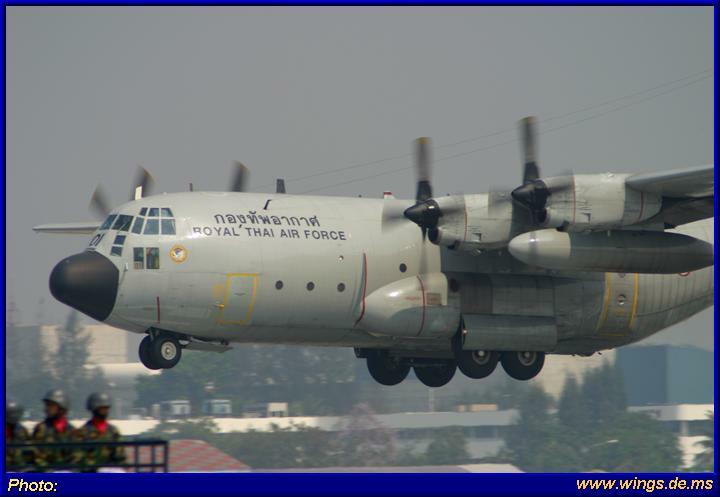 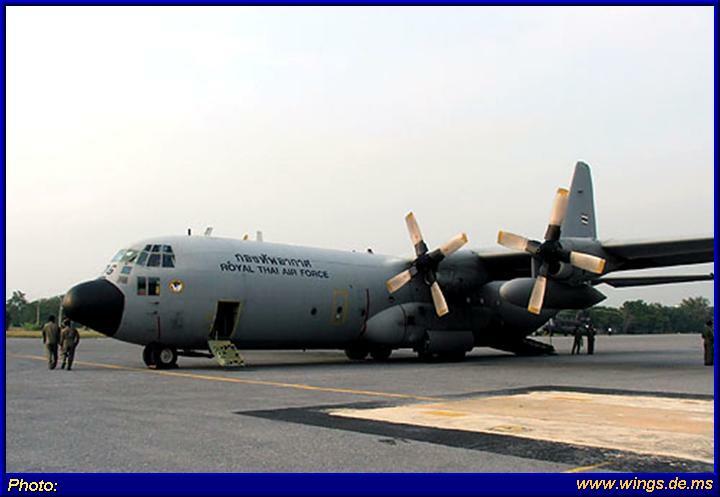 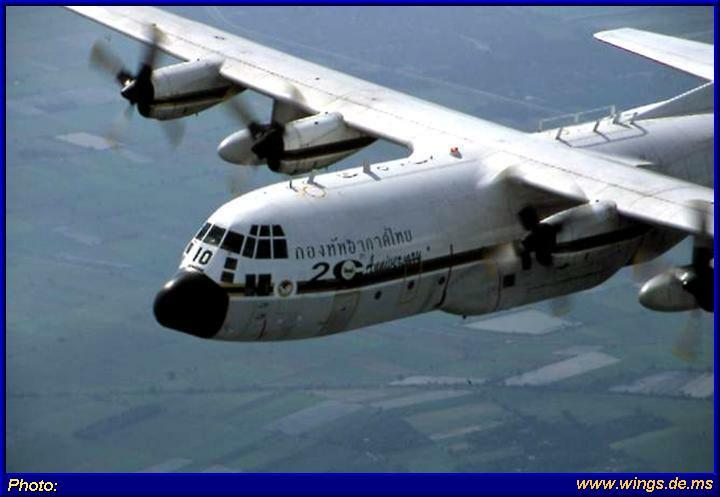 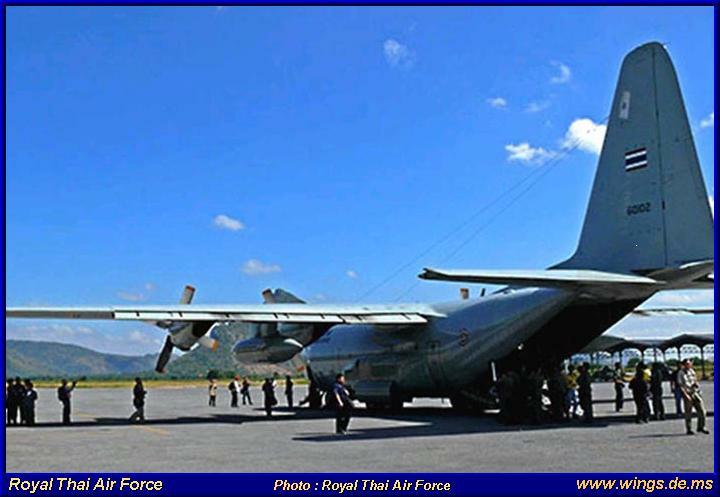 The 601 Sqn of the RTAF uses today six C-130H and six C-130H-30 Hercules. 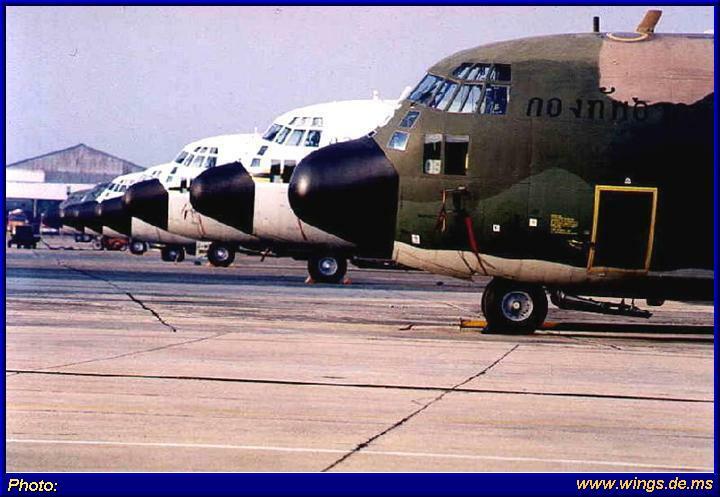 The plases where delivered between August 1980 and April 1992. 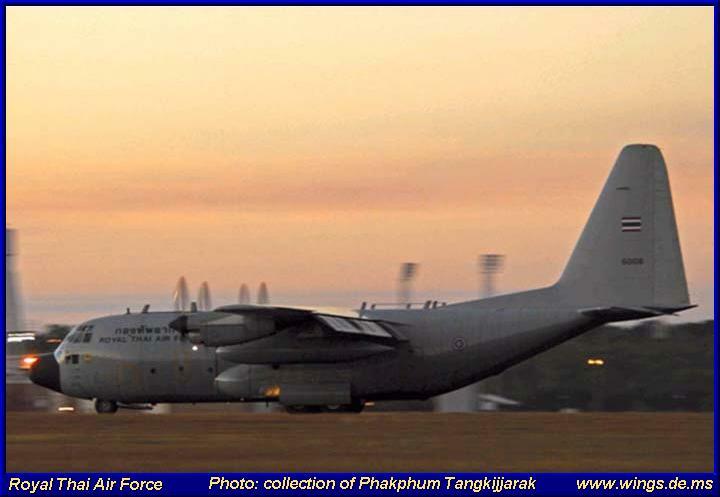 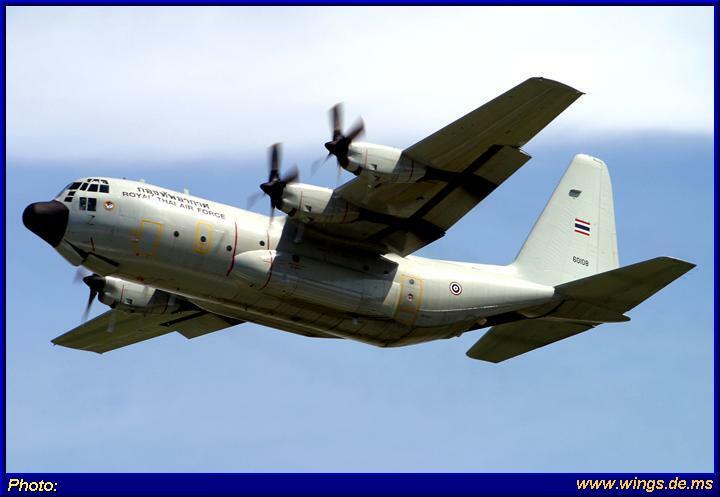 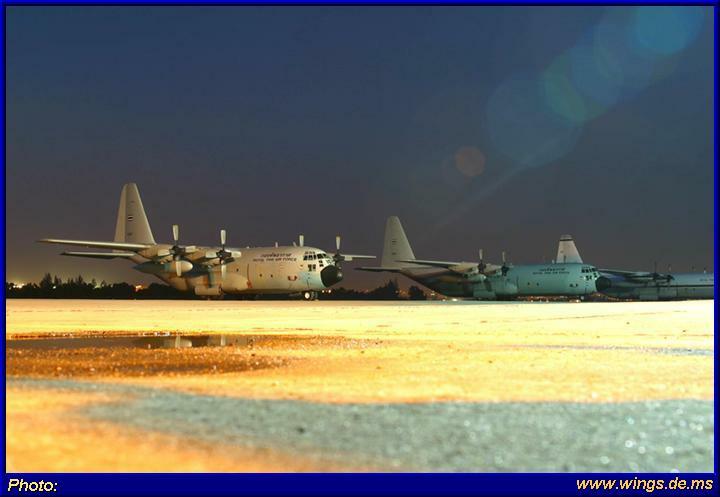 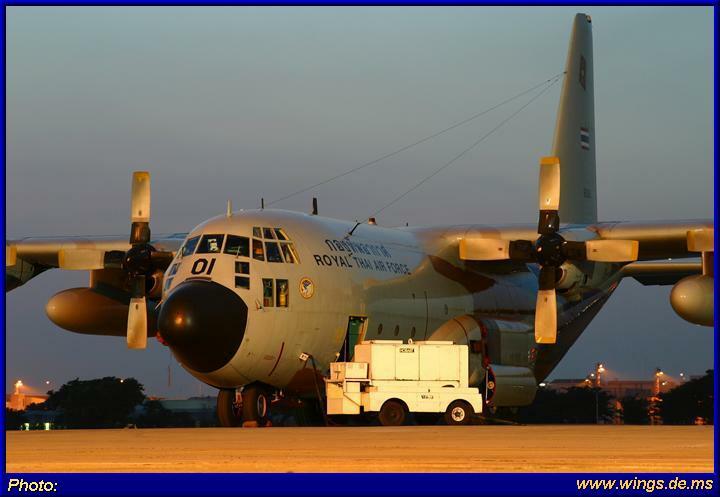 The C-130 Herciles is the Backbone of the Transportfleet of the RTAF. 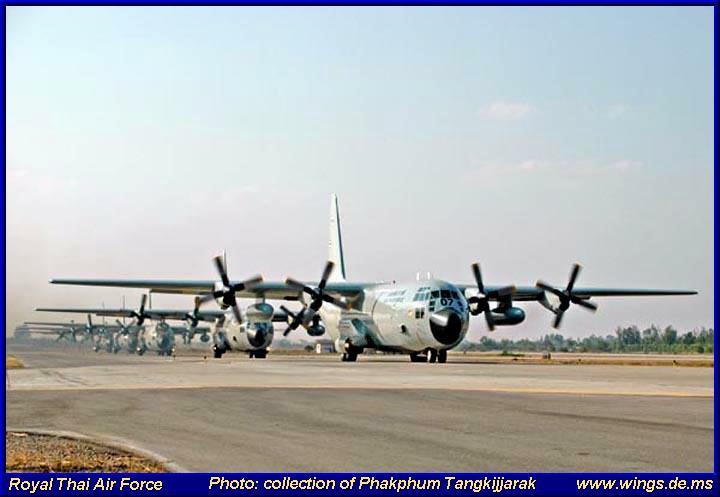 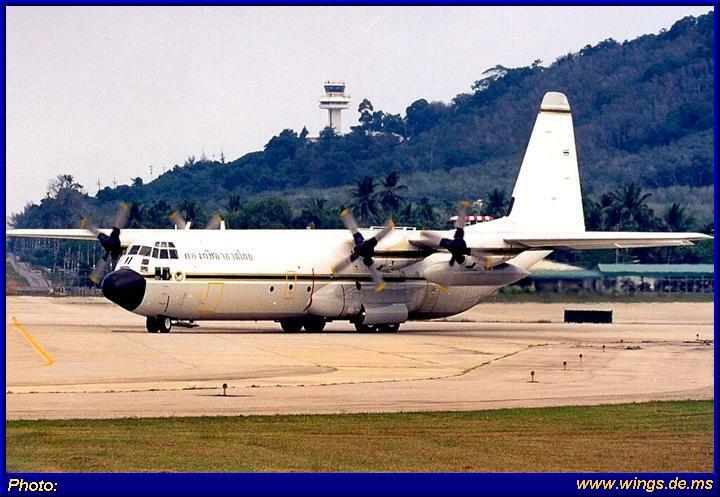 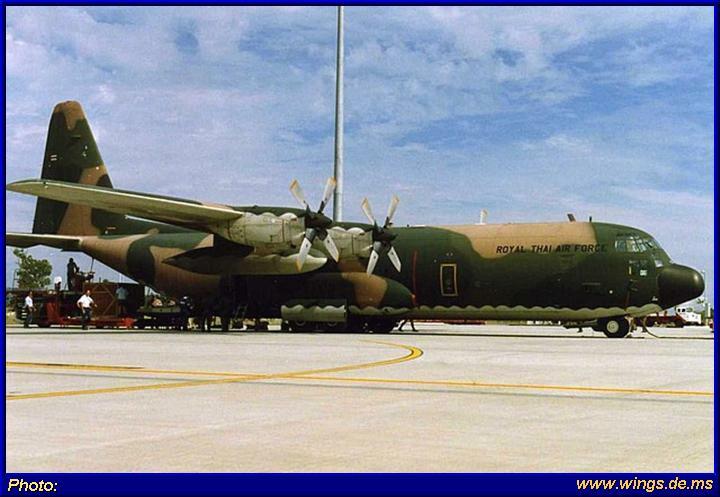 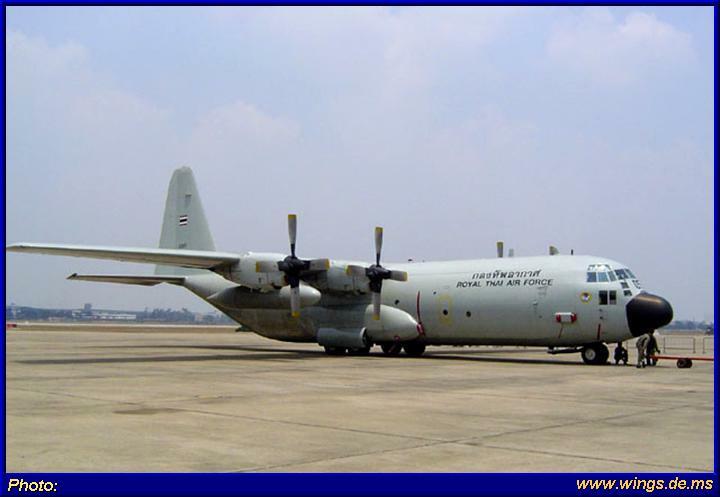 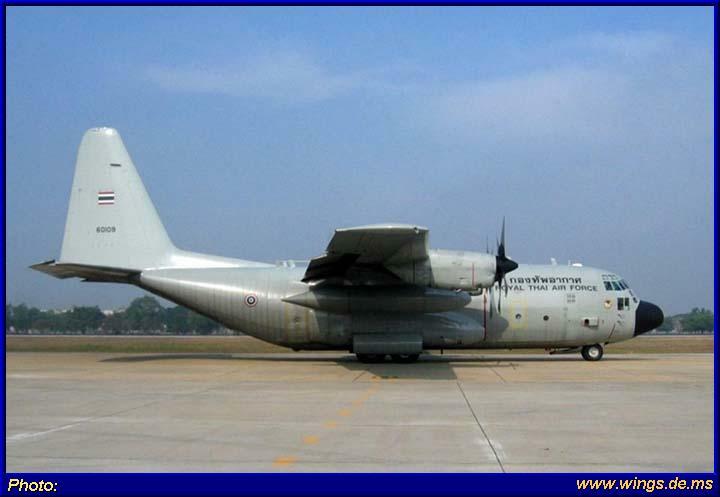 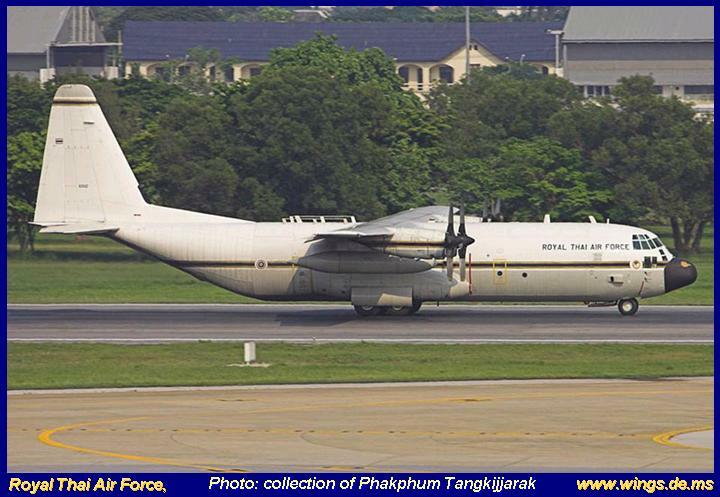 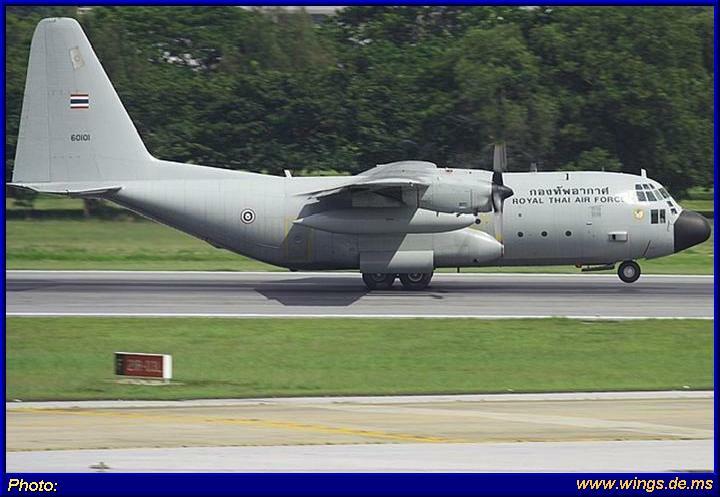 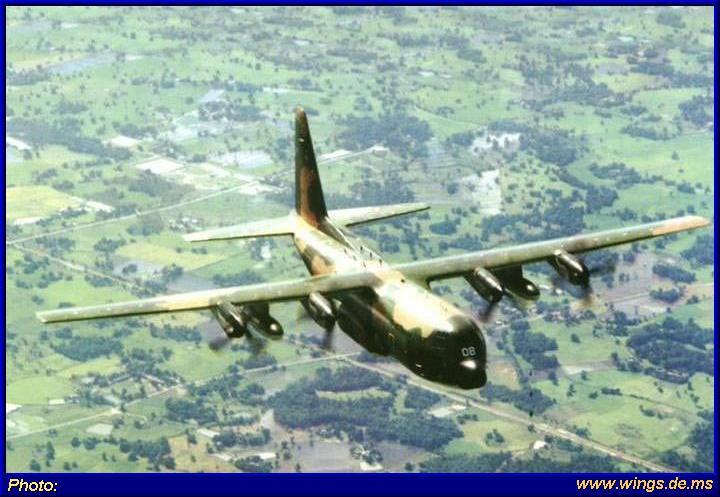 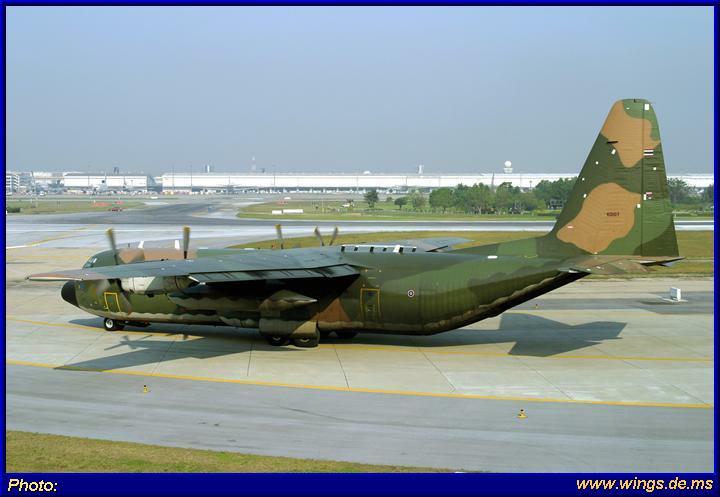 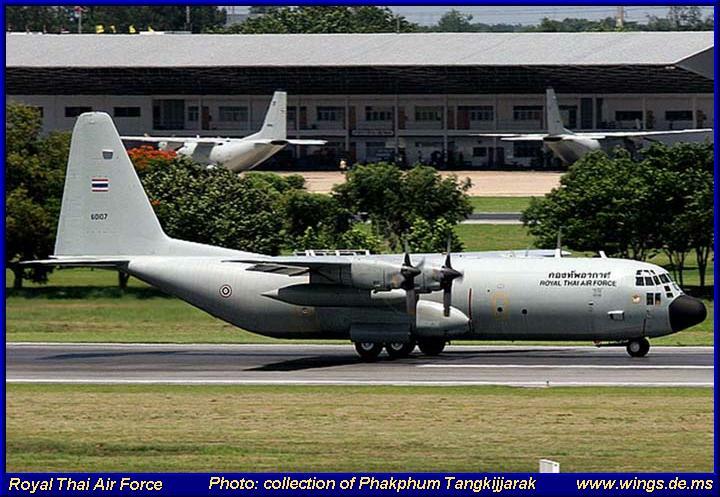 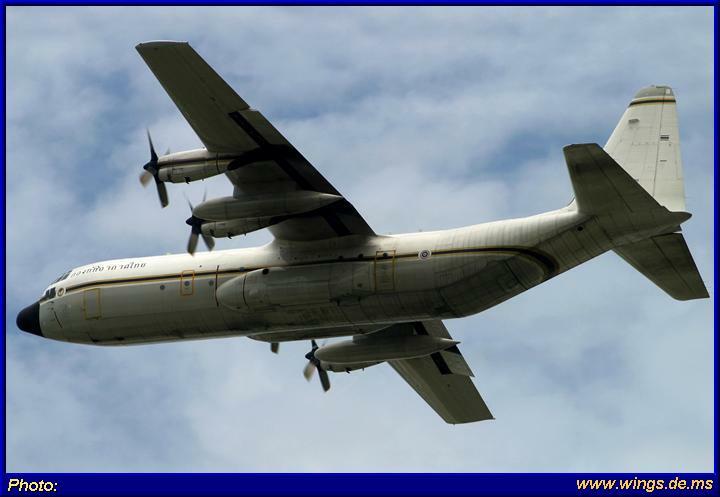 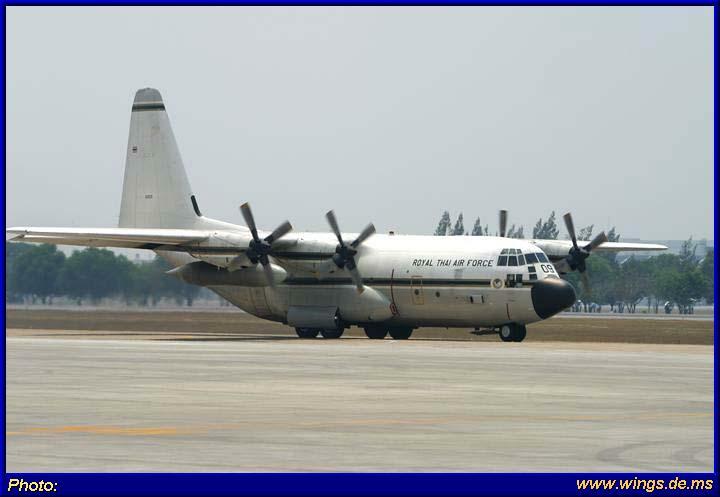 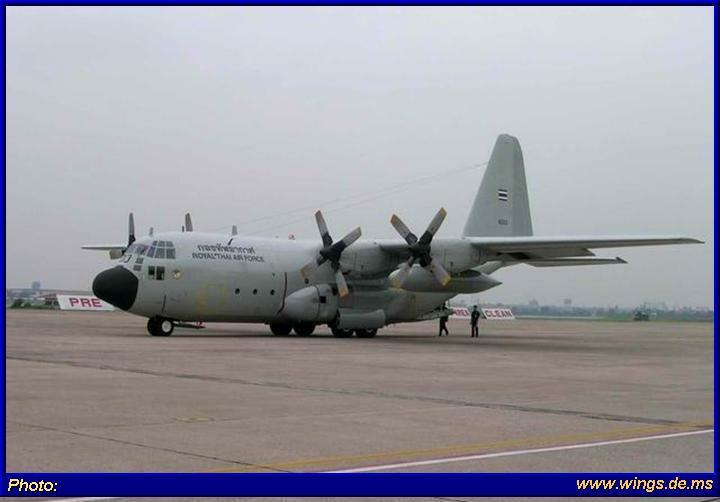 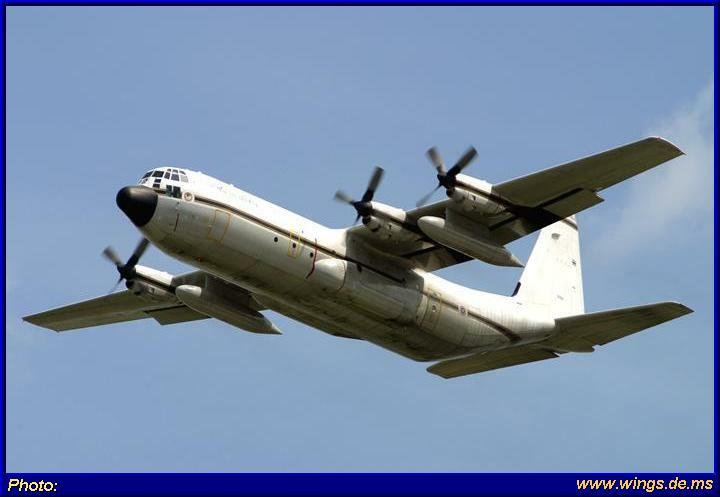 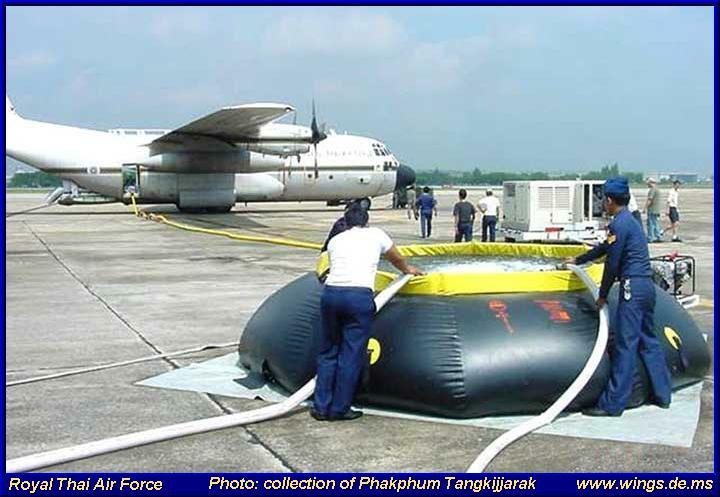 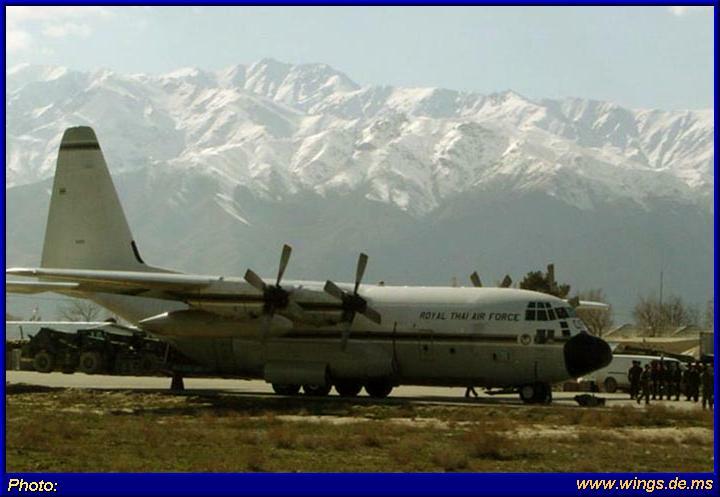 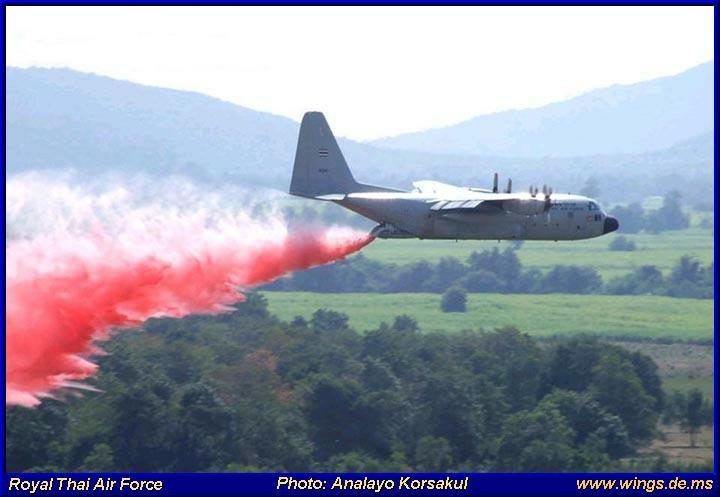 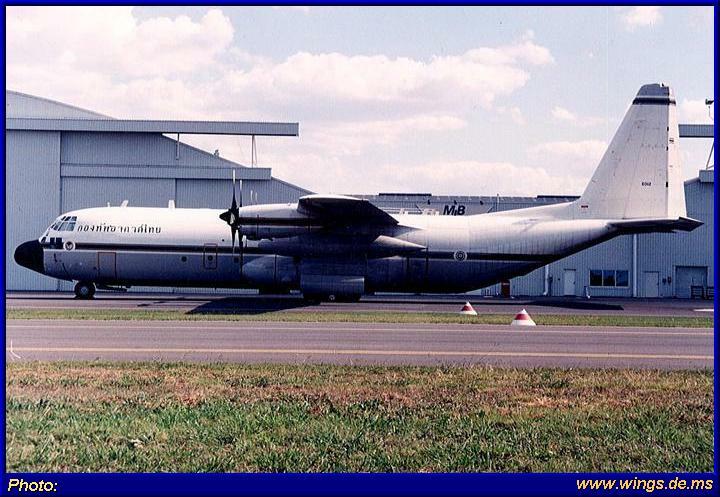 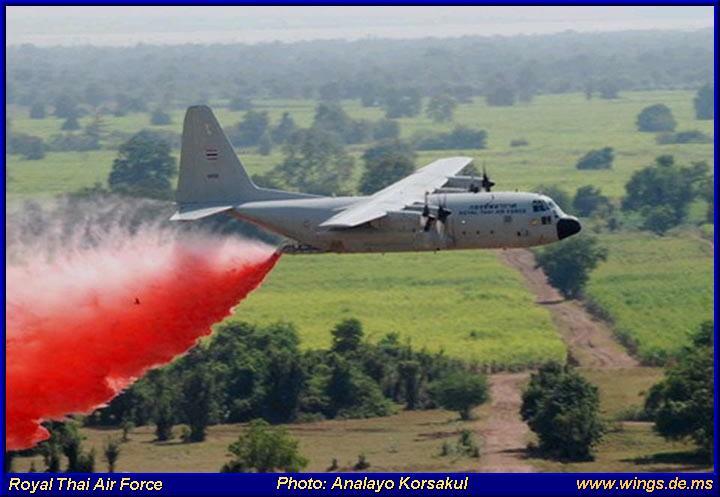 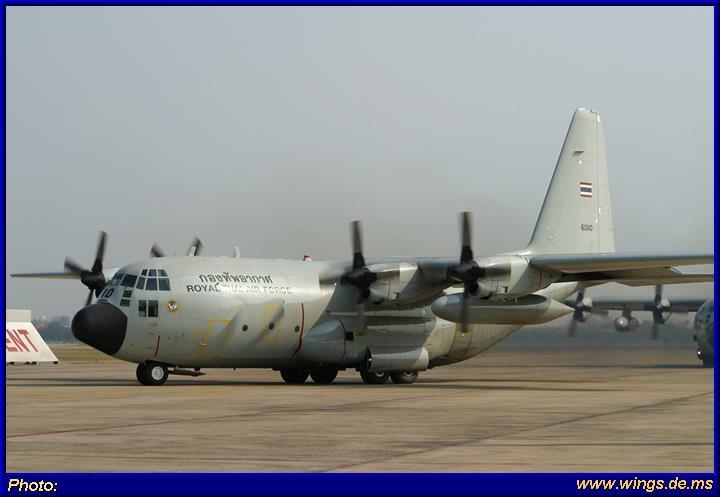 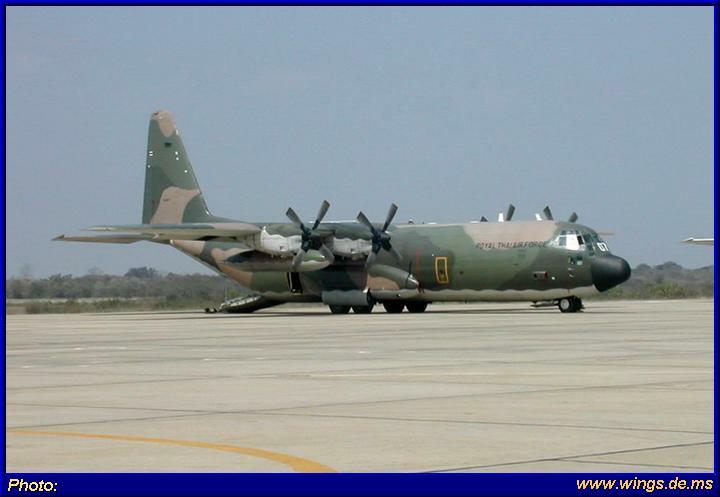 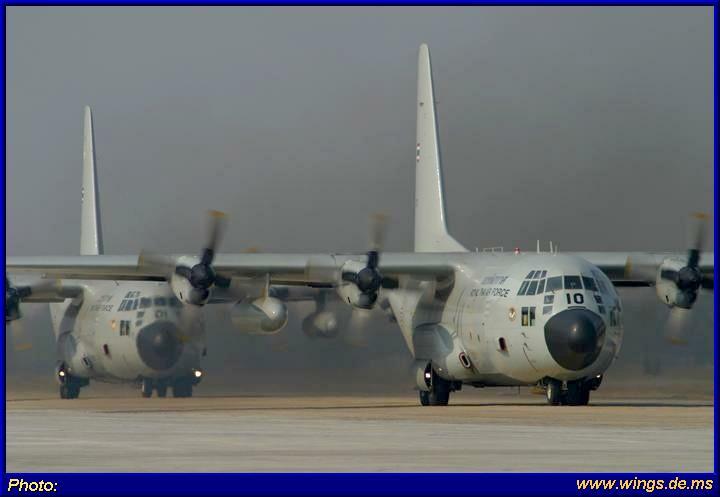 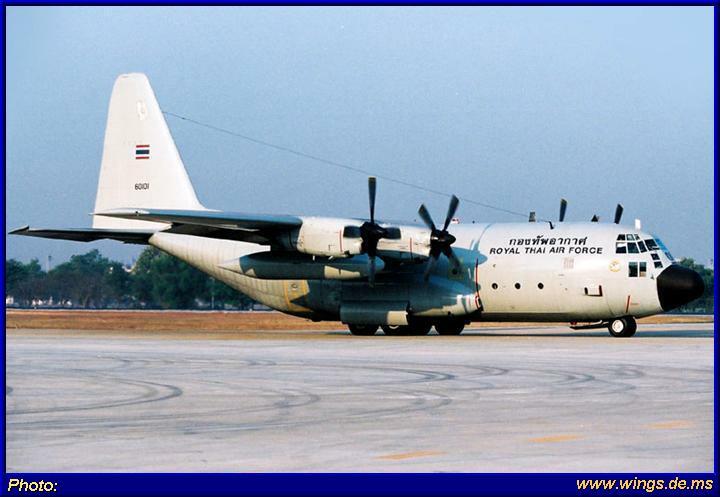 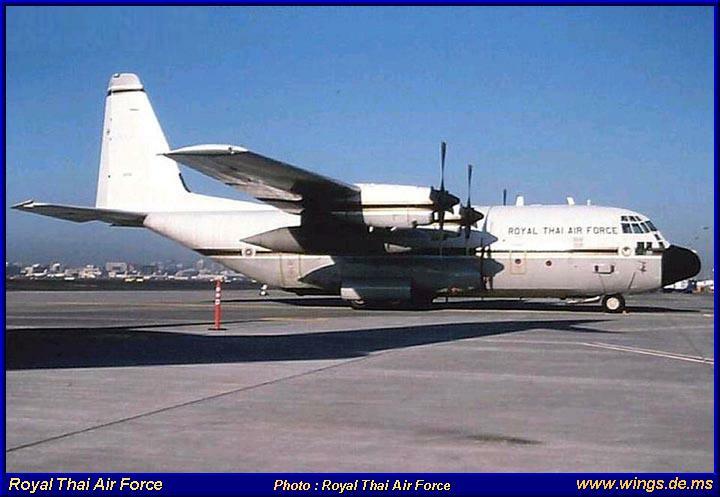 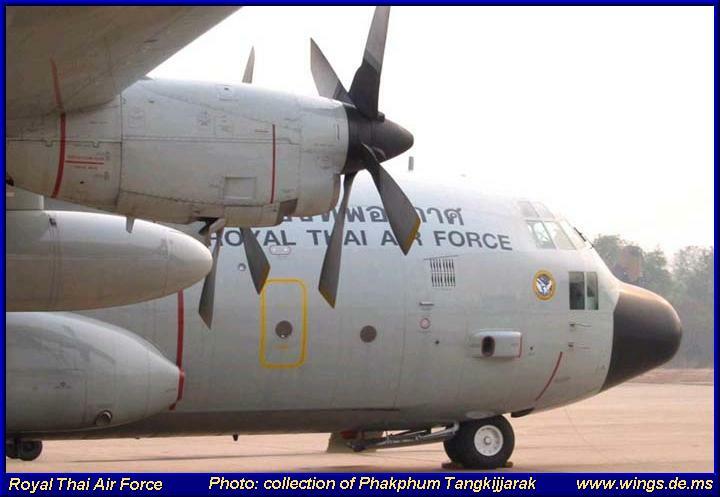 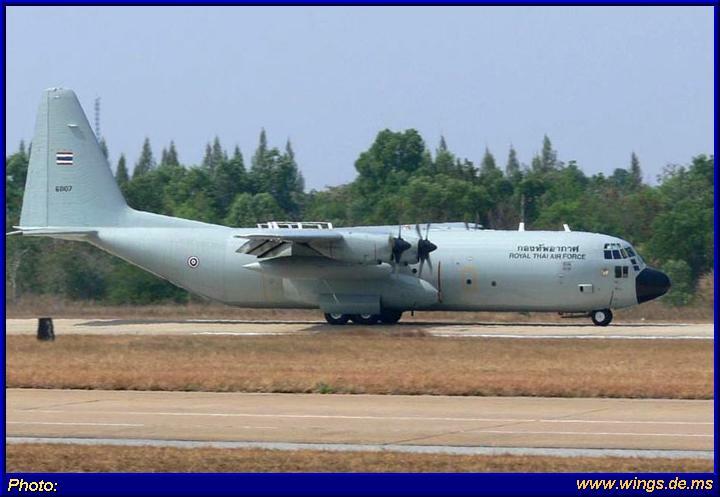 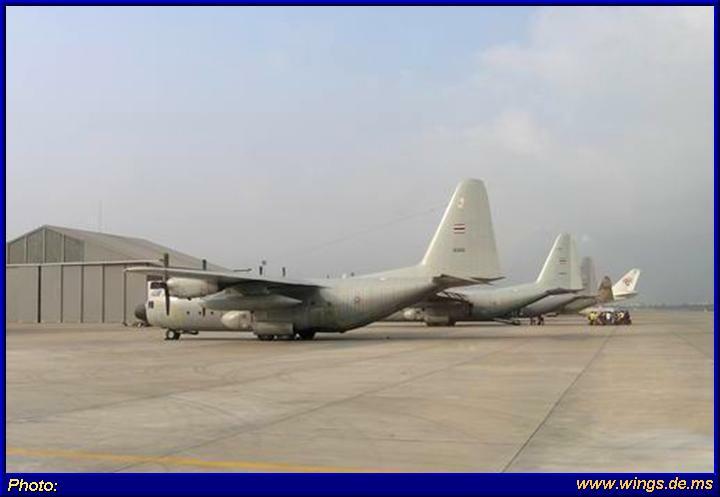 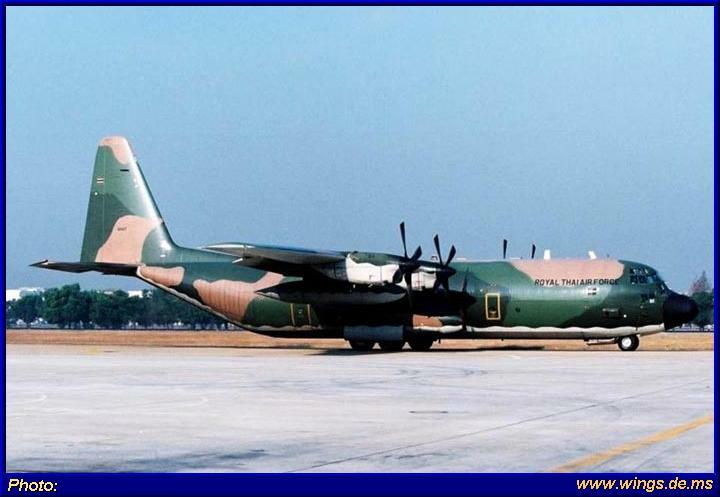 Die 601 Staffel der RTAF verwendet heute sechs C-130H und sechs C-130H-30 Hercules. 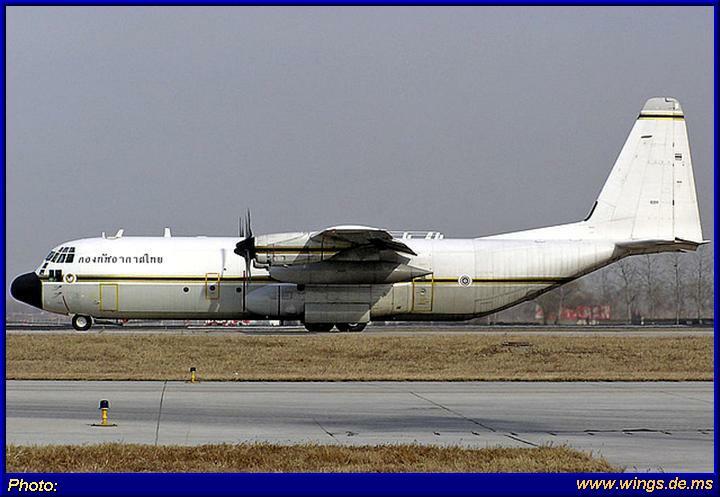 Die Maschinen wurden zwischen August 1980 und April 1992 ausgeliefert. 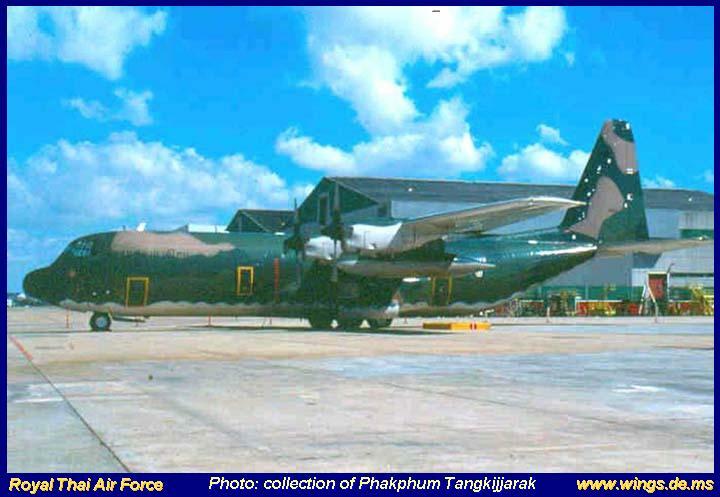 Die C-130 Hercules ist das Rückgrat der Transporter-flotte der RTAF. 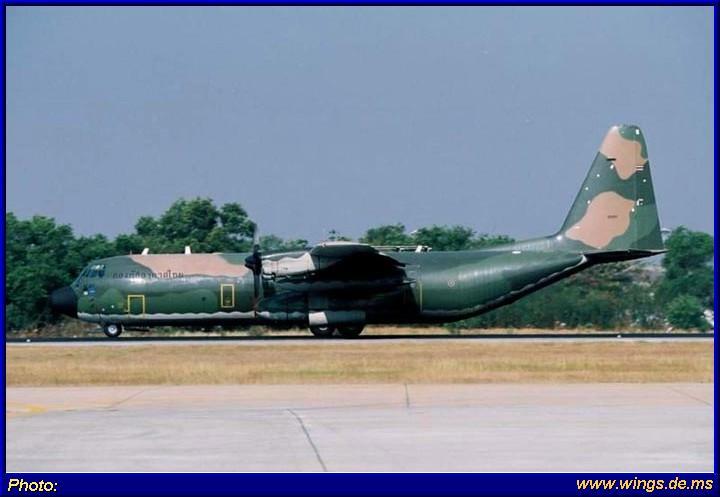 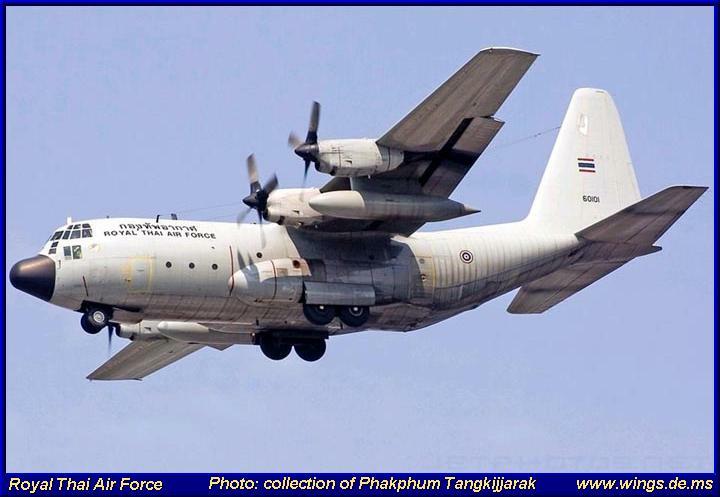 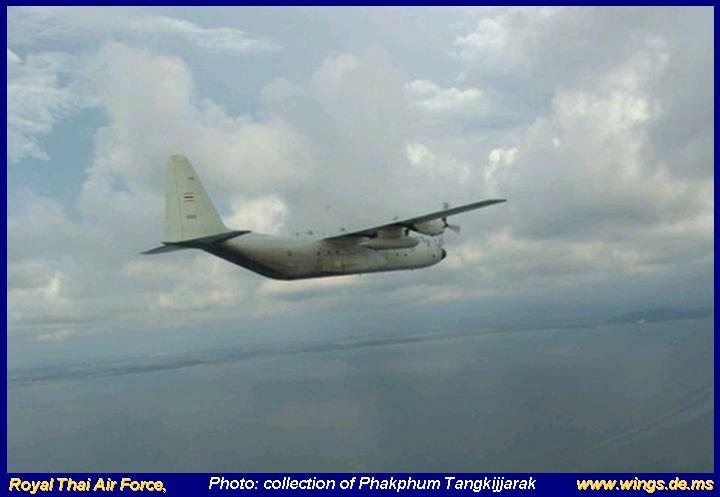 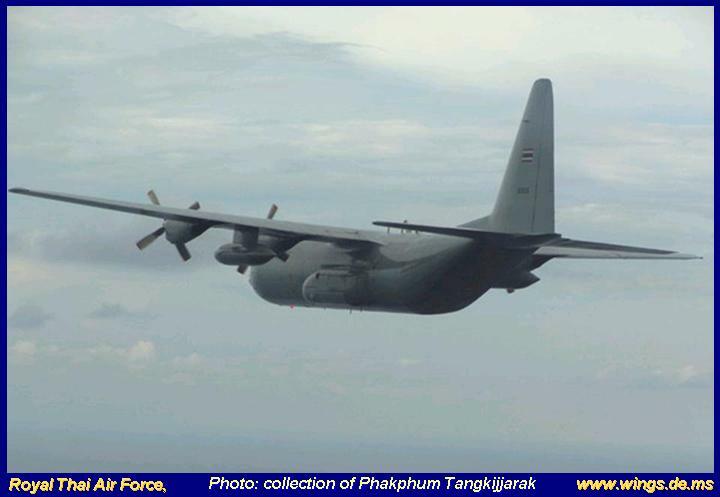 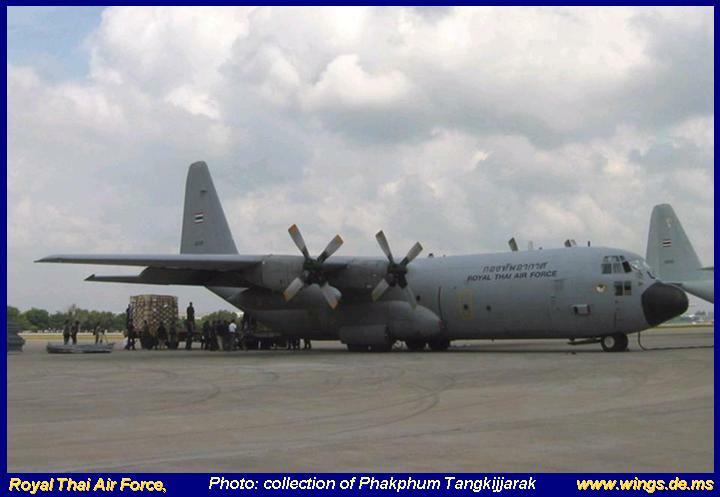 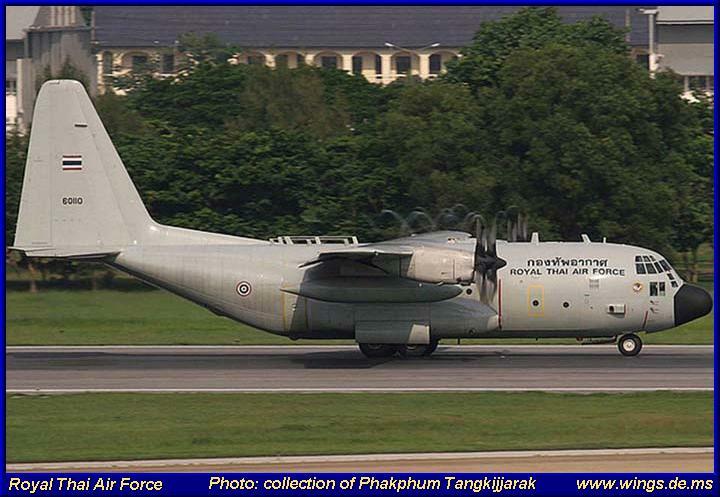 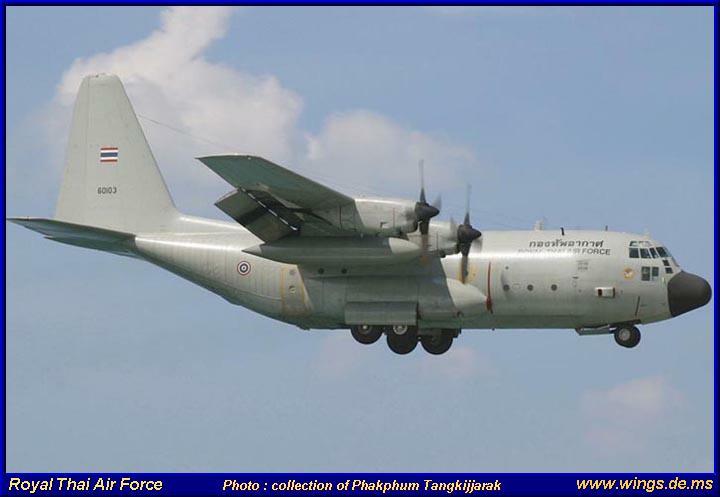 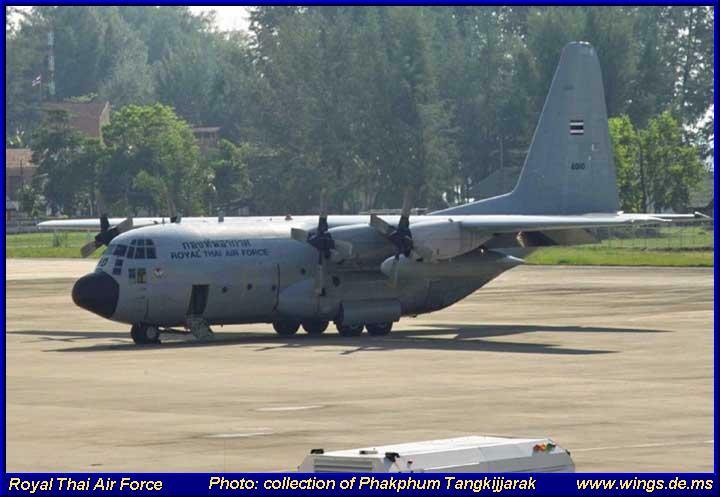 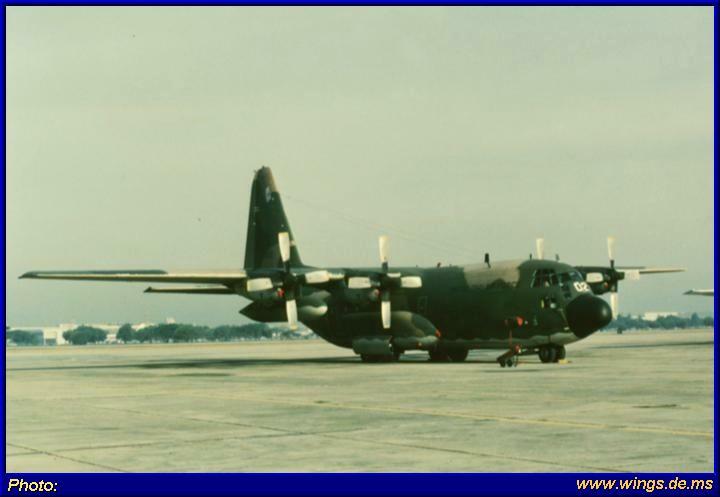 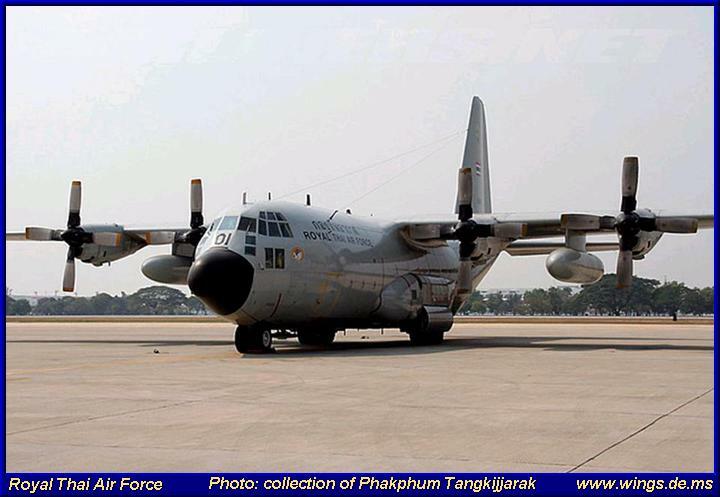 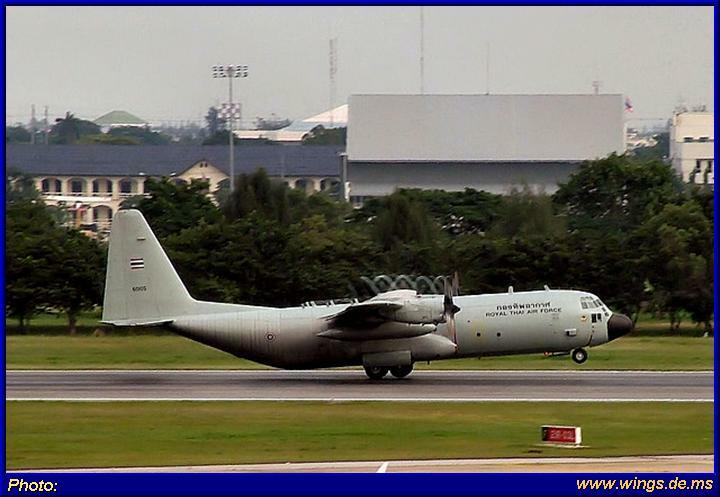 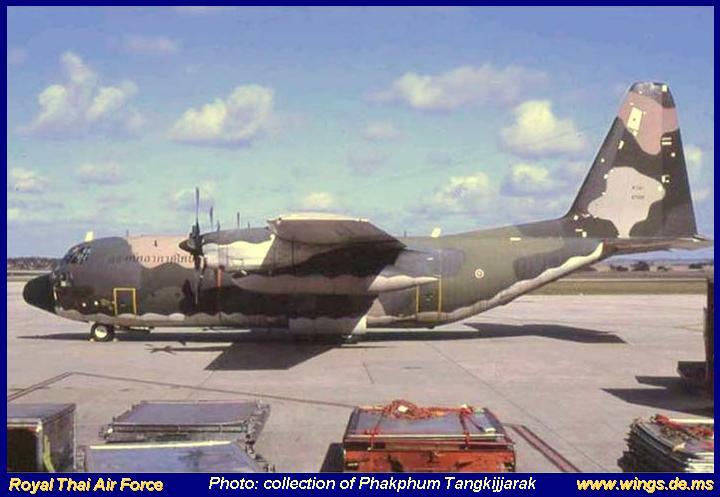 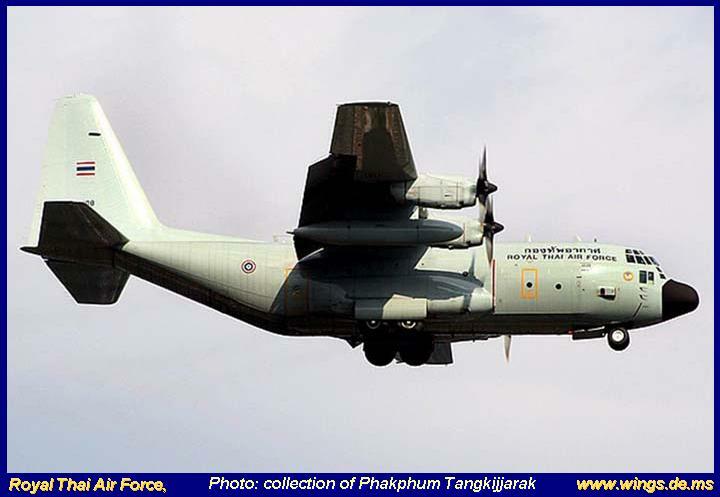 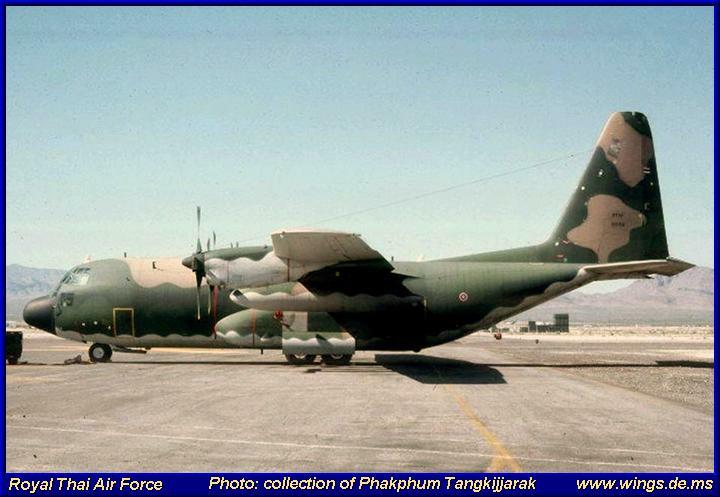 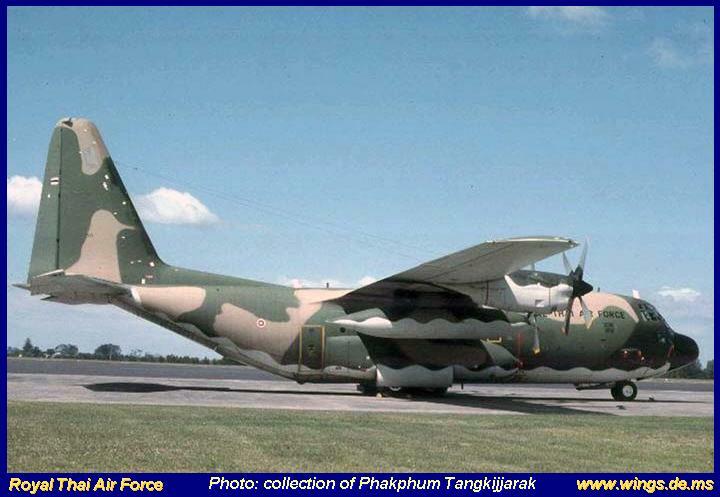 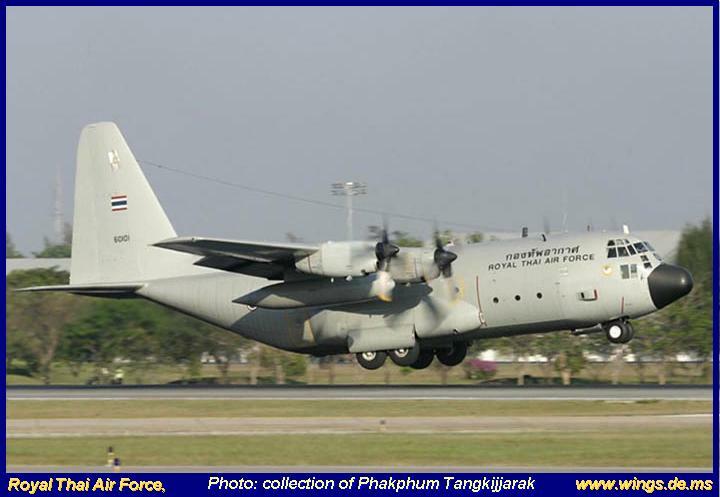 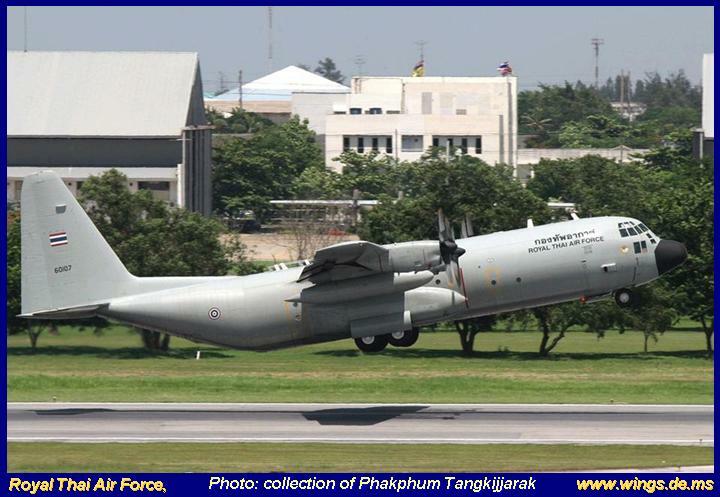 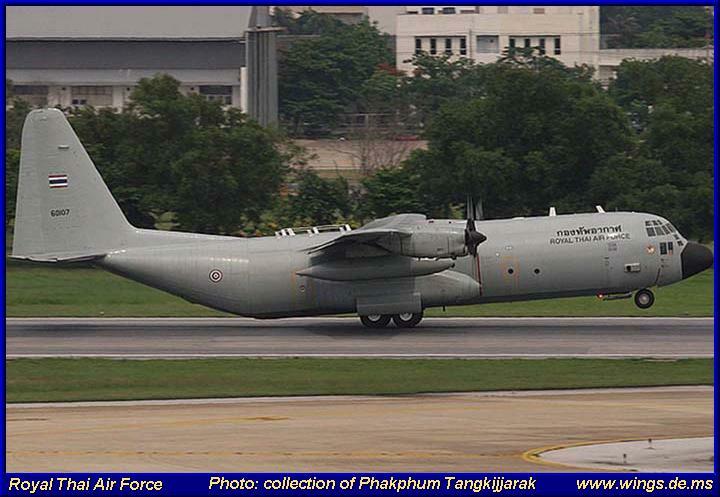 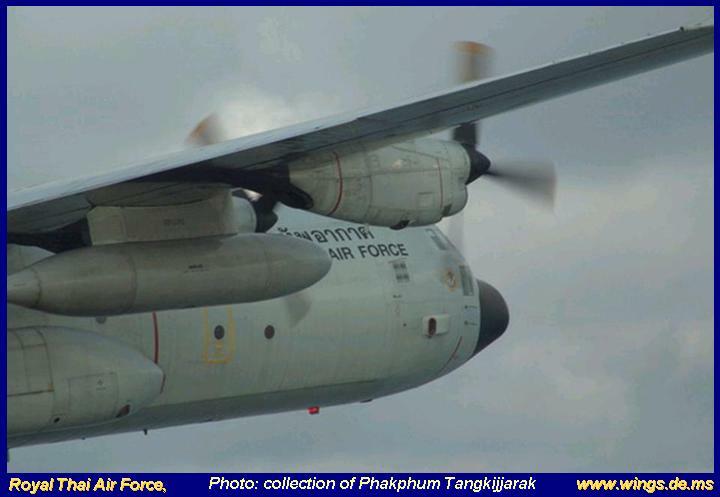 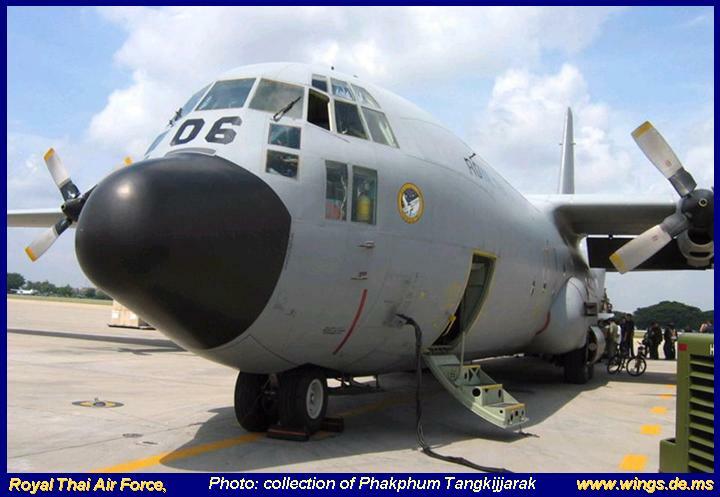 C-130H from the 601 Sqn the only operator of the Herk in the RTAF. 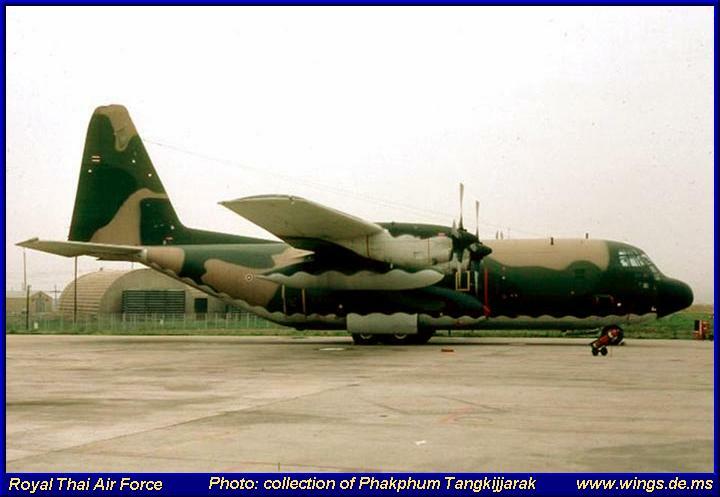 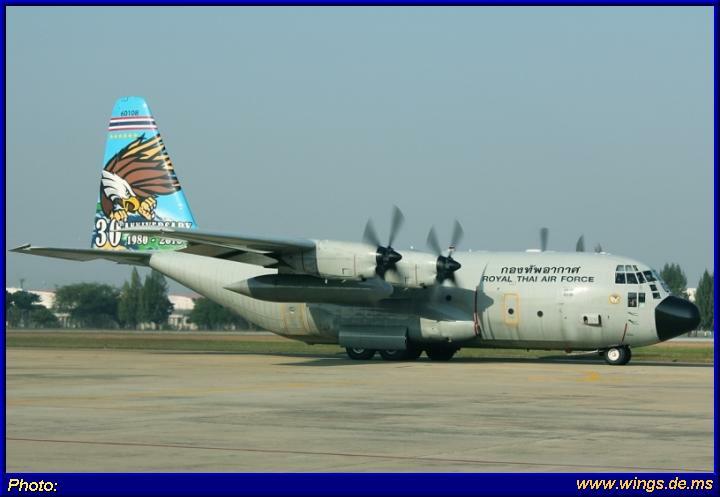 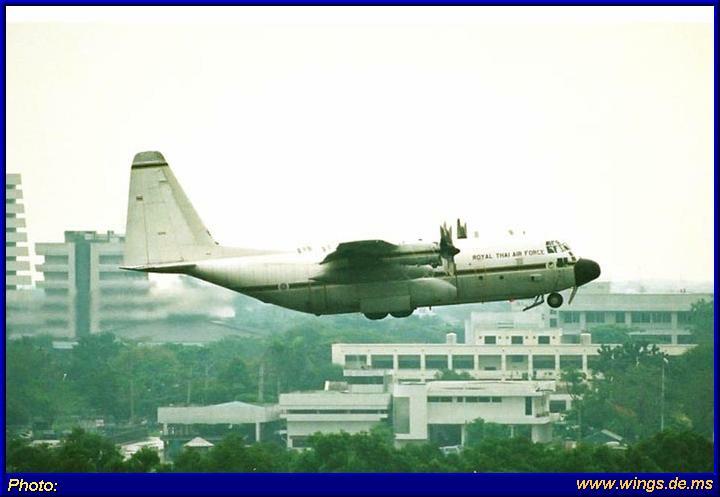 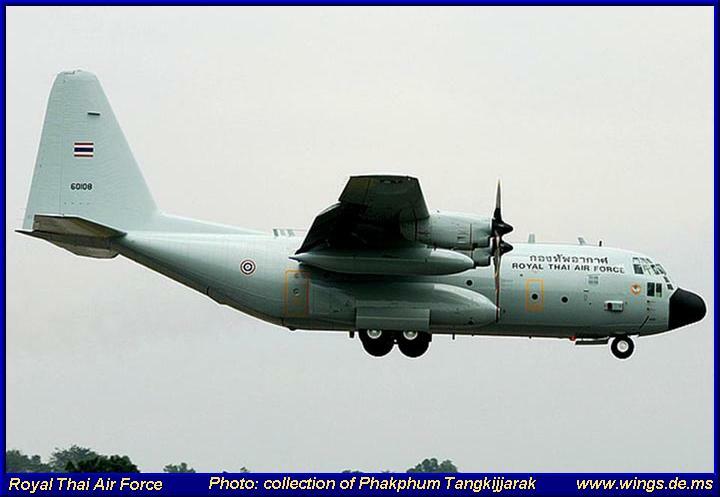 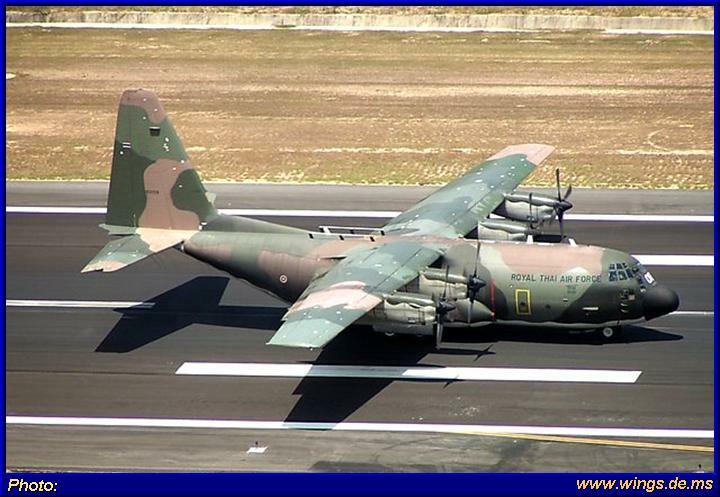 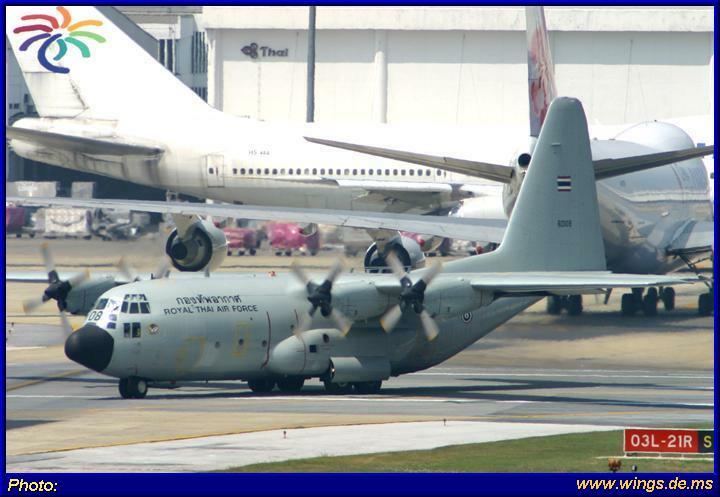 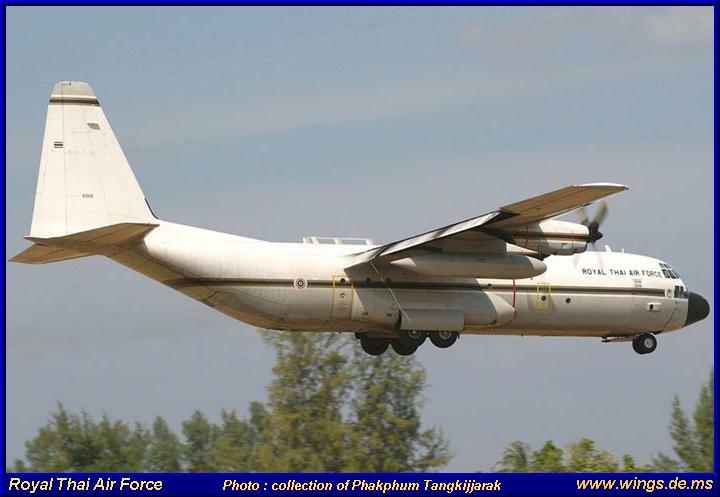 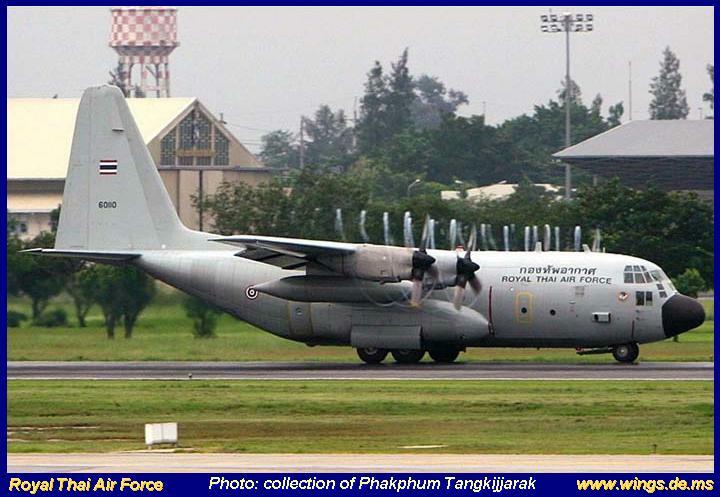 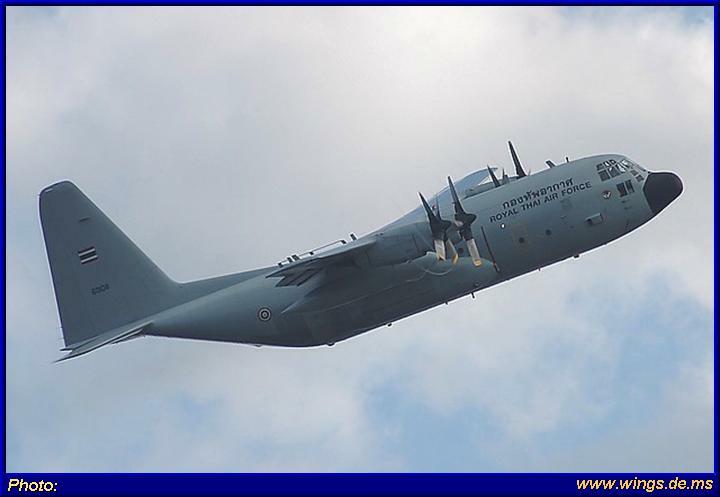 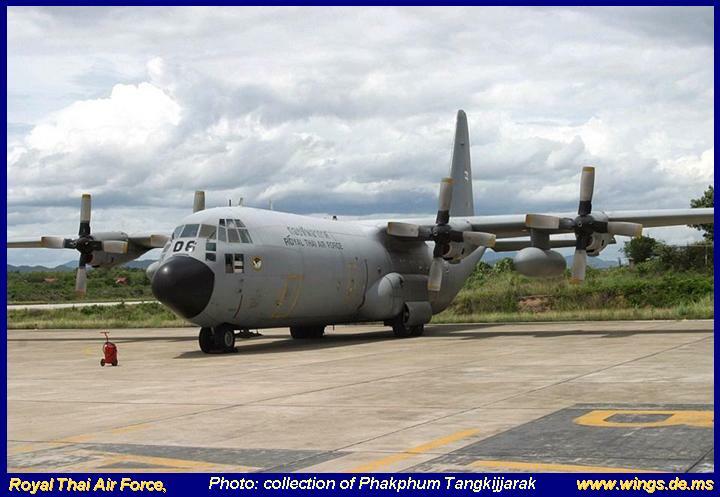 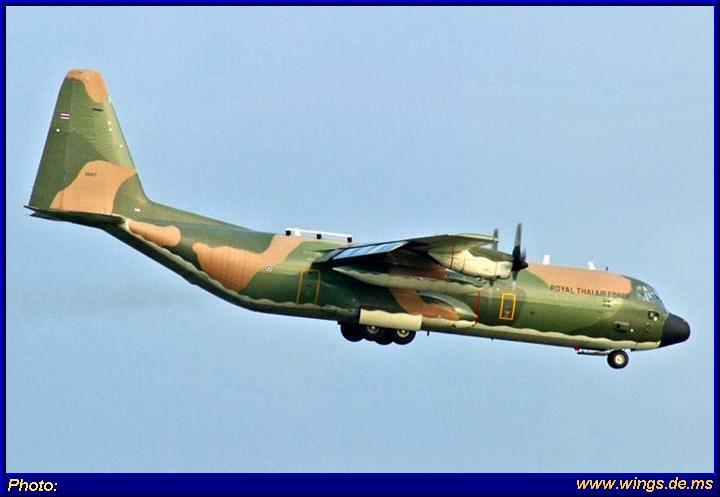 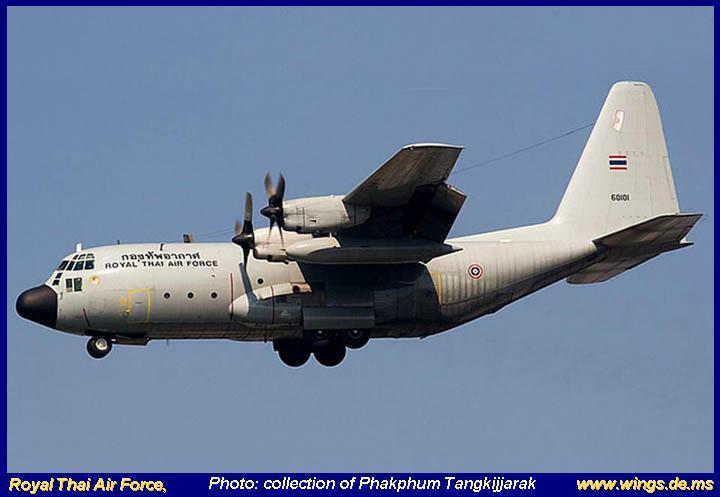 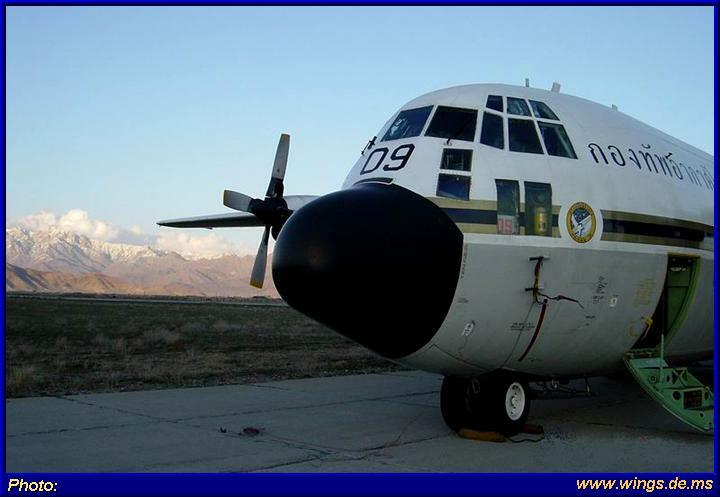 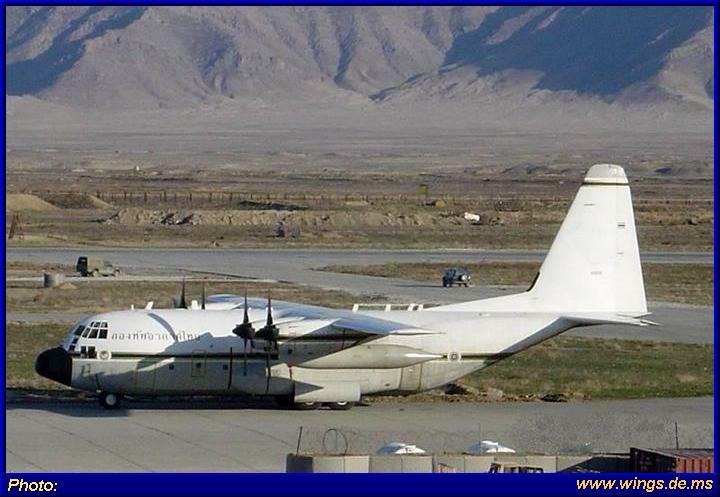 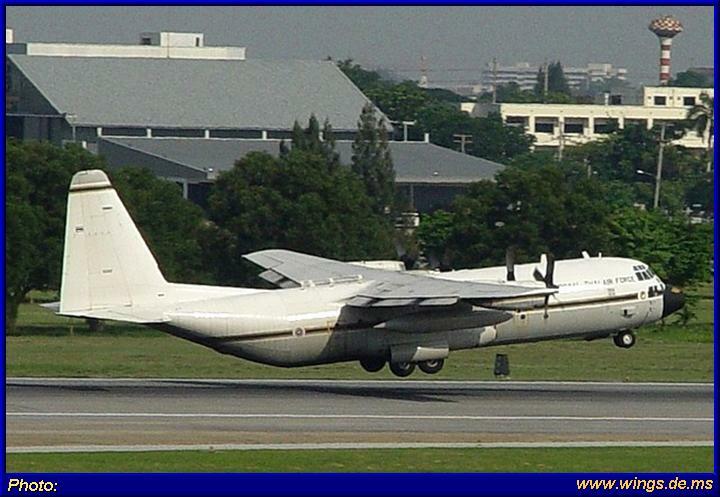 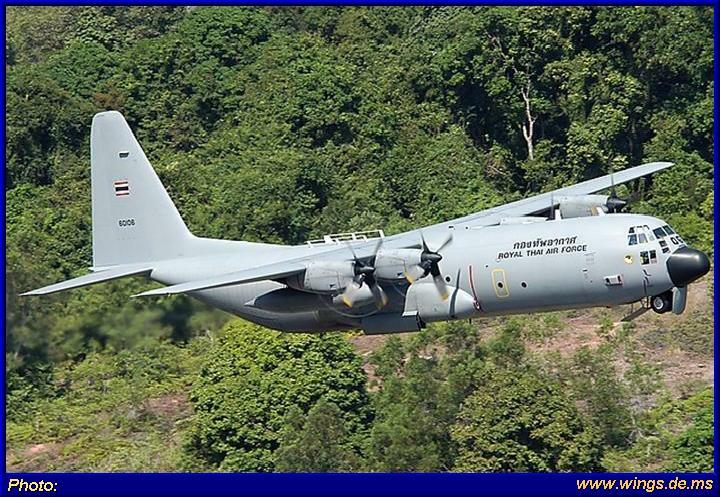 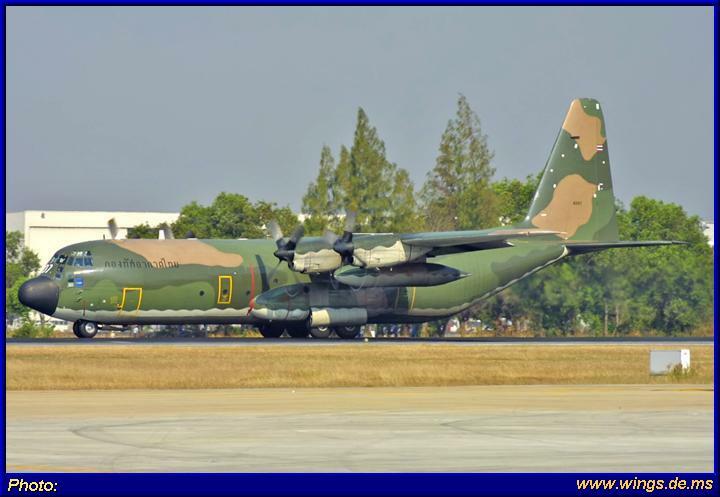 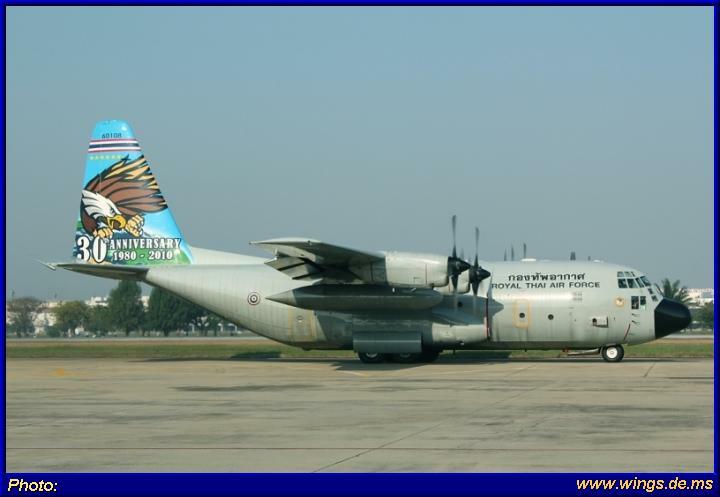 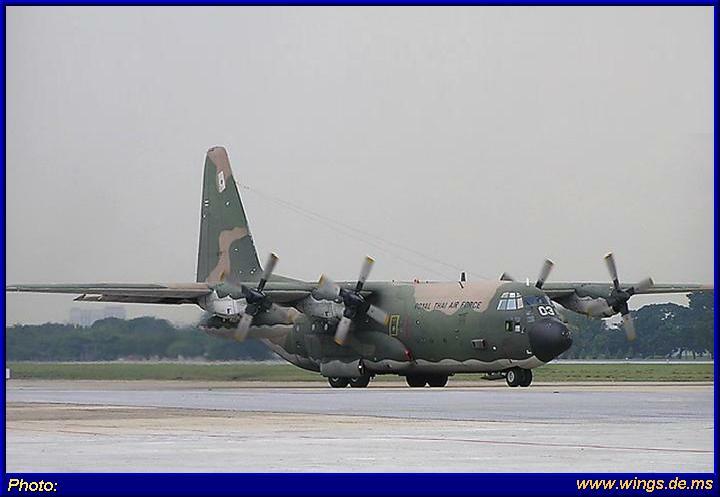 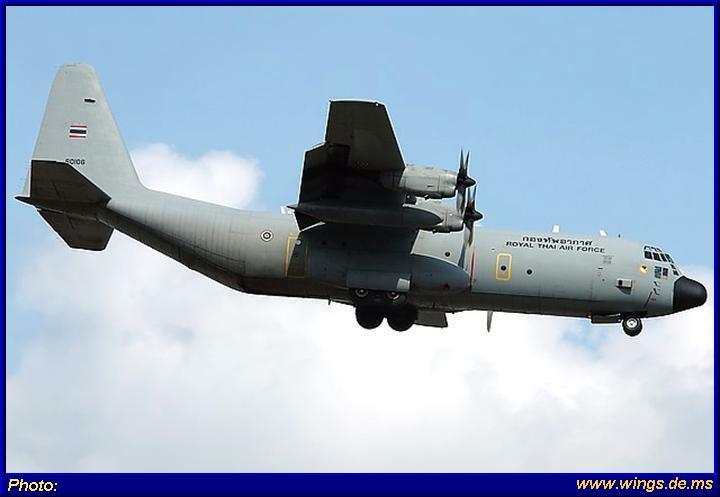 C-130H BL.8-3/23 60103 (Photo courtesy of Thai Spotters). 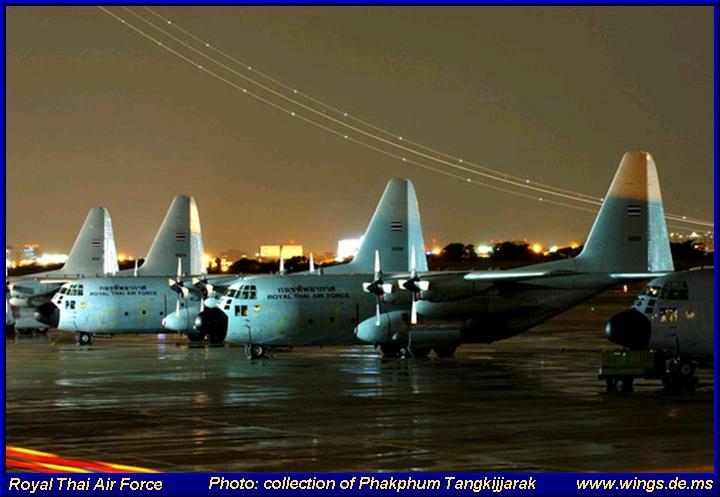 C-130H-30 BL.8-5/31 #60105 (Photo courtesy of Phakphum Tangkijjarak) The first C-130H30 was BL.8-4/26 10604 seen here at night in Bangkok. 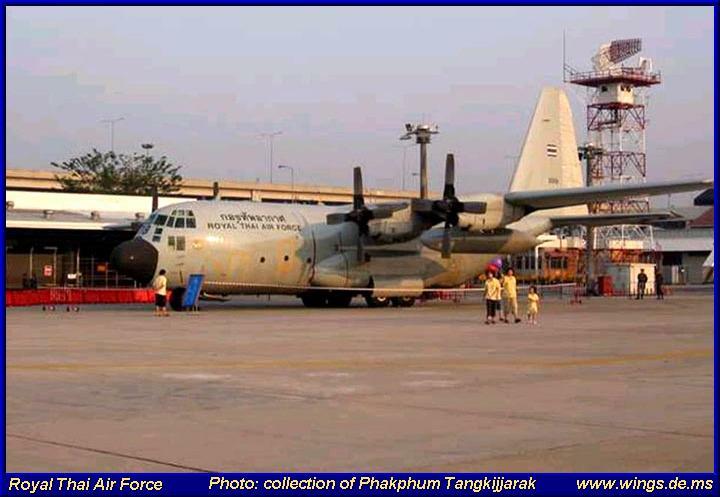 C-130H-30 BL.8-7/33 60107 (Photo courtesy of RTAF via Phakphum Tangkijjarak) C-130H-30 BL.8-7/33 60107 (Photo courtesy of Skyman C-130H-30 BL.8-7/33 60107 (Photo courtesy of Skyman BL.8-7/33 60107 an C-130H-30 Hercules at Don Muang. 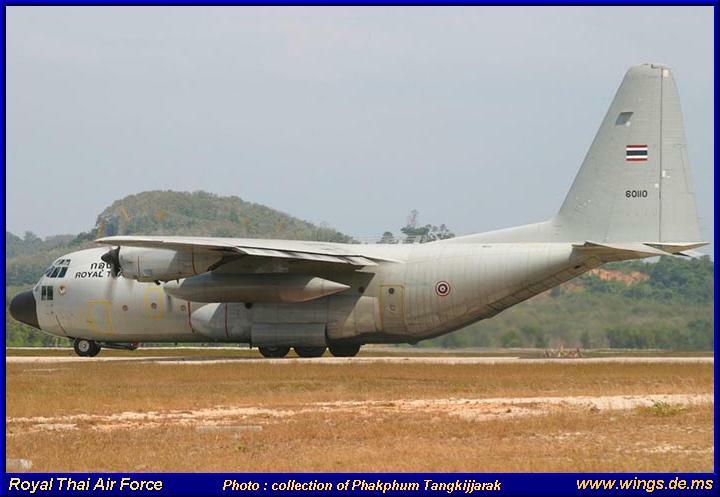 (Photo courtesy of Samart Ittiprasert).